Hot and dry all year round, the temperatures in Egypt in November are a little cooler and far more comfortable for exploring the famous sights and attractions of Cairo and Giza. 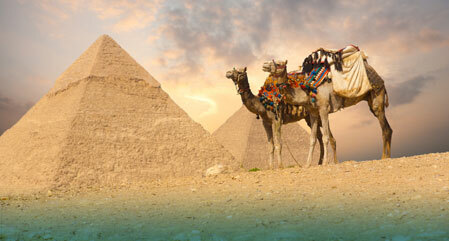 We offer holidays to Egypt with a wide choice of hotels in both Cairo and Giza, many of which have views to the Pyramids. Famous and historic sights to see include the Pyramids of Giza, the Great Sphinx, the Egyptian Museum and the Cairo Citadel. You can also take a leisurely cruise along the Nile and stroll around the colourful souks, particularly the ancient Khan El Khalili Bazaar. Just 3 hours drive from the Cairo is the port city of Alexandria where you can see the Alexandria Library and the Roman Catacombs or, a little further on is the World War II Cemetery of El Alamein. 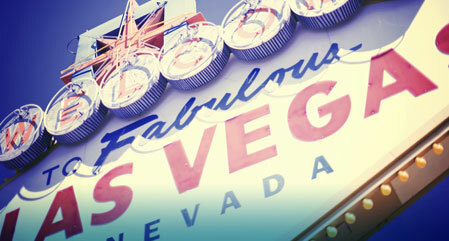 Las Vegas enjoys dry weather all year round and in November, there are long days of warm sunshine and cool nights. This is in sharp contrast to the possibly unbearable heat of summer when the day time temperatures are often in the 40's. We offer holidays to Las Vegas with hotels located downtown, on the Las Vegas Strip and on the outskirts, at the relaxing and scenic Lake Las Vegas. Non-stop entertainment includes broadway style shows, comedy clubs, classy restaurants, dinner shows, nightclubs, lounge singers and of course, the casinos. Shopping opportunities are endless but, you could make a start at the Grand Canal Shoppes, take a ride on a gondola and emerge from St Marks Square into the boutiques at the Palazzo. If you tire of the neon lights, shops and dazzling shows, take a tour into the Mojave Desert to the Valley of Fire; see the incredible Hoover Dam or take to the water at Lake Mead. Durban is hot all year round but, in October and November, Durban is at it's driest which also makes November one of the least humid times of the year to visit. 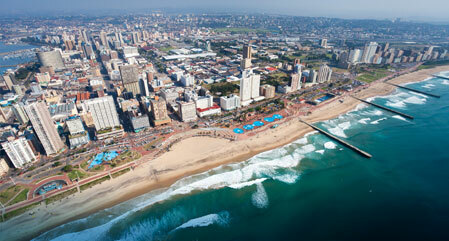 This laid back yet cosmopolitan city is surrounded by natural scenery and sits beside a 15km stretch of sandy beach. Water-sports are available from the beach and boat trips range from harbour cruises to big game fishing. The city itself has modern shopping malls as well as traditional markets, plenty of restaurants, a vibrant nightlife and the popular uShaka Marine Park. For a total contrast in surroundings, explore the scenic Valley of 1000 Hills, just half an hour drive from the city centre, it's many nature reserves and zulu villages. Hong Kong in November is one of the sunniest months of the year; it is dry, the humidity is much lower than the summer months, the skies are clear and the temperature is warm. There is so much to see and do in Hong Kong and, just outside of the city, there is an array of walks and hiking trails with scenery as diverse as beaches backed with greenery to landscapes of volcanic rock. 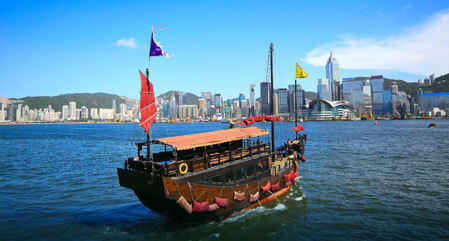 On Hong Kong Island stroll around Victoria Park and Stanley Market, visit the Aberdeen Fishing Village and dine at the floating restaurant, take the tram to Victoria Peak for great views over Victoria Harbour and a ferry tour around the harbour itself. In the evening dine at one of Hong Kong's 11,000 restaurants or soak up the atmosphere at the Temple street night market.